Saving money is important, and not just when it comes to making purchases. There are strategies you can use to save money every day just by changing little things. For example, cutting down on energy consumption is a smart way to save, and it’s easy to do. A few simple steps can make a big difference down the line. But remember safety should always be top of mind considering more homes burn in the winter than at any other time of the year according to the U.S. Fire Administration. Time for a check-up: DTE Energy recommends scheduling a visit from a qualified heating contractor to make sure your system is operating efficiently prior to each winter season. Filters should be changed to allow more warm airflow, and vents and heat registers should be cleaned. 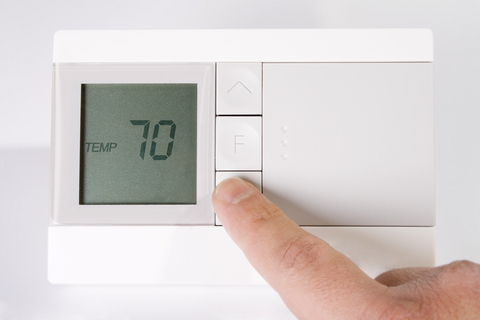 Watch that thermostat: Keep an eye on your thermostat to make sure you’re not wasting energy. A programmable thermostat can allow you to automatically lower the temperature when you’re away and then increase it just before you get home. According to DTE, each degree lowered on your thermostat below 72 degrees Fahrenheit will save about three percent on your energy bill, so dial down to make sure you’re not wasting your heat. Research also shows most people sleep best at a degree or two below 70 degrees Fahrenheit. A furnace calculator based on your unit’s efficiency and other factors is also available at http://bit.ly/TfZjMZ. Keep the cold air at bay: Don’t forget to seal off any door or window spaces where air can get through with caulk and/or weather stripping. Work with nature: Opening curtains during the day will add natural heat through sunlight. Just be sure to close them at night to insulate your windows. Consider new programs: DTE Energy offers several new programs to assist customers in saving energy at YourEnergySavings.com. Discounts, rebates, assistance and home energy audits are among the services offered. Be safe: Be sure to have your fireplace cleaned out frequently and inspected for cracks and obstructions if you plan to use it this winter. Always make sure the fire is completely out before leaving the house or going to sleep. With a little time and effort you can stay warm this winter and save some money. Super-shopping day Black Friday’s little sister, Small Business Saturday, November 24, 2012 is making headway and finding its own place in the American holiday shopping vernacular. Started in 2010 by American Express with the stated goal of helping small businesses get more exposure during the post-Thanksgiving weekend in which they were often forgotten among the big store advertising frenzy, the movement has grown and become a strong contributor to local economies. It even has its own Facebook page! Last year during Small Business Saturday, it is estimated that 103 million Americans participated by shopping at small businesses. This far exceeded American Express’s expectations of 89 million shoppers. “Small Business Saturday was created with the original mindset for consumers or shoppers to patronize those brick-and-mortar business, small and local, and we definitely do the same thing and not just on one day of the year,” said Thomas Paden, president of the Canton Chamber, which works in partnership with the Canton Downtown Development Authority on its ‘Shop Canton’ promotion. 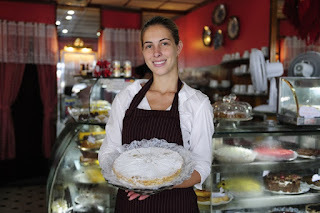 Statistics released by the U.S. Bureau of Labor Statistics in 2010 back those words up, as it announced that small firms accounted for about 60-percent of the nearly 1.2 million jobs created and have thrived despite uncertain economic times and trouble getting loans from banks. But now, thanks to conscious consumers, promotions like Small Business Saturday, and institutions such as Community Financial Credit Union providing them with the loans they need, things are looking up for many of America’s most important economic engines. So remember to support your favorite local businesses during the holiday shopping season. If you are a small business owner, give Community Financial a call to find out how we can help grow your small business. For more information on Small Business Saturday and to find small businesses in your area, visit the U.S. Small Business Administration here. For more information on Community Financial’s Business Services, contact Business Development Officers David Sanctorum at (734) 582-8850 or Mark Evenson at (734)-751-5723. Over the years, Black Friday, the day after Thanksgiving kickoff to the holiday season, has expanded. It shifted from malls and stores opening a few hours early, to stores opening as soon as the clock strikes midnight on Friday. But has Black Friday hit its peak? According to the National Retail Federation, Americans spent a record $52.4 billion last year, but that was across the four-day holiday weekend and not just on Friday. Along with Black Friday, the post-Thanksgiving weekend now includes Small Business Saturday and Cyber Monday, both of which have also captured the attention of deal-hungry shoppers. “It had changed and didn’t have the same appeal,” said Sue Bellaire, Community Financial’s Technical Training Coordinator who took time out from Black Friday Shopping when her kids were home from college and never went back. “My shopping habits are different – shopping online, going to fewer stores and doing less browsing. Jenny Tabor, Compliance & Risk Specialist at Community Financial, still sees the advantages of actually going to the stores to seek out deals in person. While Tabor does participate in Black Friday, she doesn’t go to the extremes like other shoppers, usually arriving at the store or mall at 8 a.m. Whether you decide to fight the crowds in person, or do your shopping locally or online, there are plenty of deals to be had as the holiday season approaches, both on Black Friday or throughout the season. While there’s often a silver lining for parents, they get to spend more time with their kids, addressing the underlining financial issue should be the top priority. According to a survey released in August from Ohio State University, 28 percent of young adults aged 25 to 29 moved home with their parents for extended periods of time from 2007 to 2009, mainly due to job troubles or wage-related issues. Another study showed that 22% of 25 to 34 year-olds lived in multi-generational households in 2010, up from 11% in 1980, according to a Pew Research Center analysis of Census data. - Develop a Real Budget- While many people can get by managing their money online, there’s still no substitute for a detailed, budget for tracking and planning expenses. Websites such as Mint.com or Wesabe.com can help. Once a budget is set, measures can be taken to address unnecessary spending and a savings plan established. - Save on a Daily Basis: While coupon-clipping may seem like an older generation’s hobby, it can be extremely beneficial for young adults looking to trim their monthly expenses. The new generation of coupon websites like Groupon.com and Valpak.com make finding deals even easier than clipping coupons. - Identify and Eliminate Debt- Post-college adults should figure out which monthly payments are weighing them down and do their best to pay off and/or consolidate these debts. Otherwise, high-rate debt like credit cards will continue to hold them back financially. For young adults with high-rate debt from multiple sources, Community Financial offers low rate debt consolidation loans and a 0% Balance transfer option on their Platinum Visa credit card (LINK). Re-financing debt allows the borrower to make just one lower monthly payment and may result in paying off the debt faster. Having successful, independent children is the goal of all parents and with a little soul searching, budgeting and sacrifice young adults can gain financial freedom and confidence to live on their own. For more information on Community Financial debt consolidation options and balance transfer offer, stop by one of our eight convenient locations or call 877-937-2328.